LIGHT WEIGHT. HAND MADE. EFFECTIVE. Easily carry and protect your bow with the MICRO-Sling. Every order will include “The Shield”. Our acrylic sling mount along with 2 flat matte black titanium micro-clips. 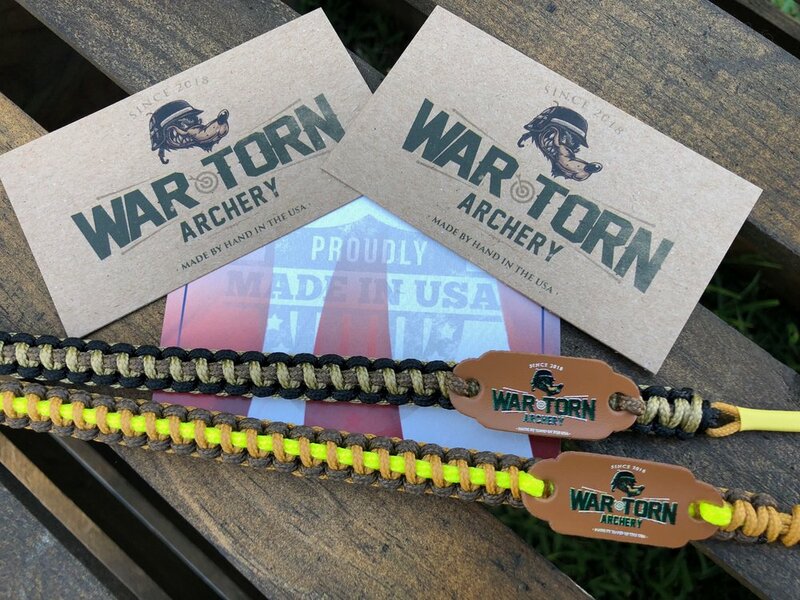 Weighing in at only 19 grams total, our MICRO-Sling System is the lightest and most innovative bow sling on the market. Customize your MICRO-Sling with up to 4 different colors from our inventory of 17 various custom made paracord. Do you have a camo bow and are needing a sling to match? Say no more... Have a bright orange bow and want a sling to accent your custom setup? We can build it. Let us know your exact specs and we will get it done.